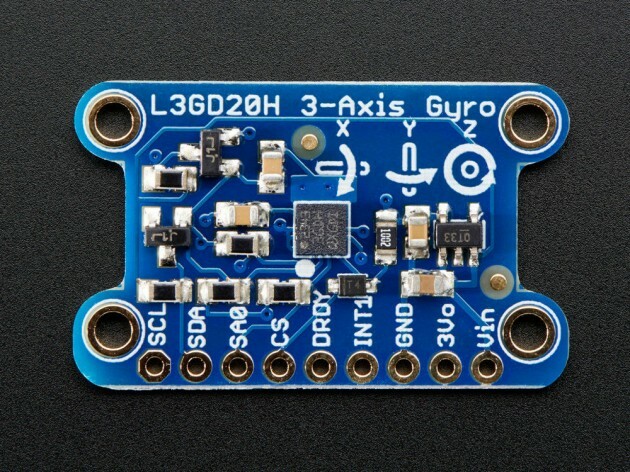 The Adafruit 3-axis gyroscope is based on the latest technology from STMicro, e.g. the L3GD20H chip. It has 3 axis of sensing with ±250, ±500, or ±2000 degree-per-second scale for a large range of sensitivity. The chip supports both I2C and SPI interface. This board is equipped with a voltage regulator so that you can easily use a 5 V power source. 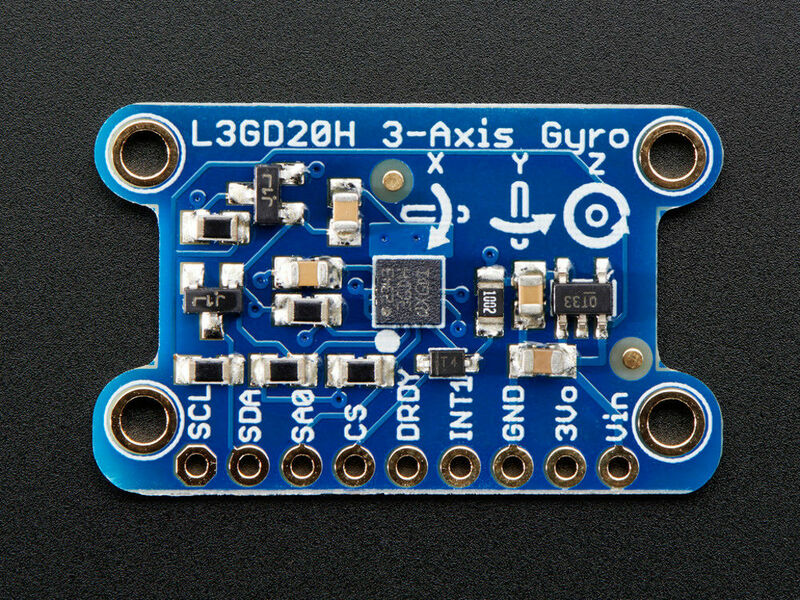 Detect twisting and turning motion with this Adafruit 3-axis gyroscope based on latest L3GD20H chip from STMicro. 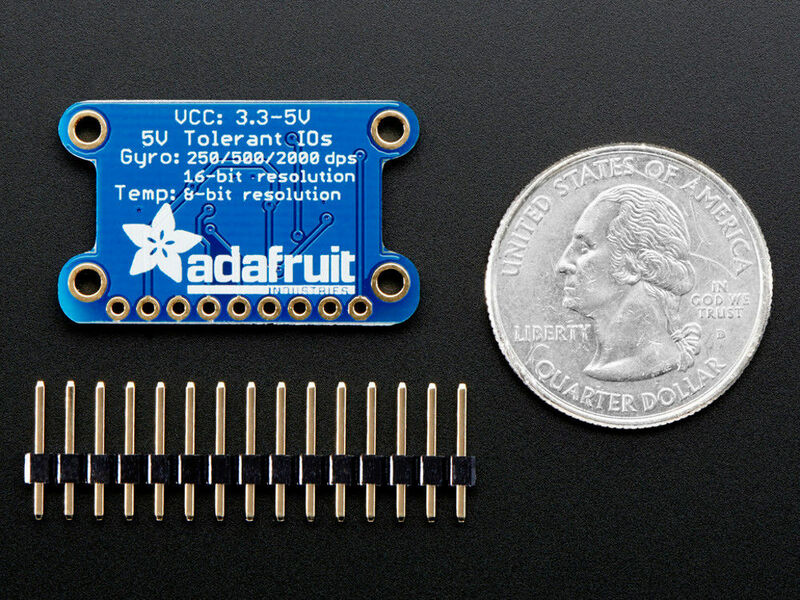 The Adafruit 9-DOF IMU combines 2 of the best quality sensors on the market to give you 9 axes of da..